In the year 2003, Professor Tenma is distraught when his son Tobio is killed in a car accident. He loses himself in his latest project, creating Atom, a robot boy programmed to be forever good. Upset that his Tobio-substitute can never grow up, Tenma sells Atom to Ham Egg, the cruel ringmaster of a robot circus. Atom meets the kindly Professor Ochanomizu, who adopts him, inspires him to become a crusader against evil, and eventually builds him a robot "sister," Uran. Tetsuwan Atom was the first television anime series to air in a 30-minute programming slot. It was broadcast by Fuji Television and aired on Tuesdays when broadcast began in 1963. The first episode debuted on New Year's Day with a 27.4% viewership rating, with the series later peaking at over 40% rating by the following year. From 1964 onward, the airing was changed to Saturdays. When American television producer Fred Ladd helped NBC Enterprises adapt the series for broadcast in the United States in 1963, the title Astro Boy was used instead of the manga's English title Mighty Atom. The change was forced because of its similarity to the contemporary American superhero character Mighty Mouse, which Osamu Tezuka used as a basis for the character Atom. 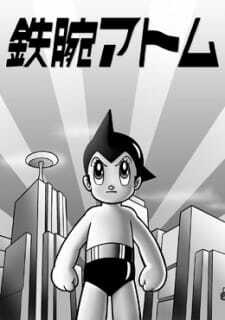 Created in 1952, Osamu Tezuka revolutionized american cartoons forever when Astro Boy came to our American televisions in 1963. It is recognized as one of the first popular animes to be in America. Osamu Tezuka offers to younger audiences along with teenagers who have nothing better to do. It's cute brand of comedic satire brought in audiences of both genders. Action and a funny, yet dramatic storyline set in the distant future of 2003 (oh no!) make it so popular to everyone. my father remembers watching Astro Boy as a kid, and now the old cartoon has come back once more. Astro Boy is now aired on Adult Swim on the weekends. You can get a fun, interesting storyline as well as blast from the past when you watch this awesome cartoon. One of my personal favorites, Astro Boy will definitely be a favorite to kids for a long time to come. Some reboots flop. Others rise up from the ashes of their predecessors. Here are 6 anime remakes that did so well, they became even better than the originals. What anime fan hasn't asked themselves the question "What is anime?" at least once? With a new-found love comes an initial curiosity to learn more. But with an ocean of information out there, it's difficult to know where to begin. Well, why not start here? Let's unveil the mystery that is anime!